A Hackney church reimagined as a music venue – winning a 2017 Jazz FM Award for Best Live Experience of the Year – AWF Associate Artist, Church of Sound has reclaimed a vital community space. Its co-founder and latest member of our career development programme, Spencer Martin, is getting ready for a gig like no other this Friday 9th November: Future Sound our unique collaboration with KOKOROKO and Mossbourne Community Academy, bringing afrobeat and jazz to a new generation. Spencer took time out to tell me how it’s going…. For anyone who’s not experienced Church of Sound, tell us what it’s like and how it came about? Church of Sound is basically a jazz gig in St. James the Great Church, Lower Clapton Road, London. Approximately once every six weeks we invite a band or collection of musicians to come and share their music with us, with the intention of creating something unique and singular for both audience and players alike. The plan really took root in 2014, as a result of me spending a large amount of time in East London churches, both as an organist and using them as rehearsal spaces with my band. Around the same time I met Lexus Blondin, founder of Total Refreshment Centre, and together we began to sculpt this idea. It took 18 months to come to life, arriving in April of 2016. We love working with Church of Sound, what does partnering with Abram Wilson Foundation mean to you?  Working with Abram Wilson Foundation is fantastic for us – the wealth of knowledge and expertise that AWF brings to the table has achieved things that Church of Sound alone would never have reached. It is a great example of how collaboration can bring forth a result greater than the sum of its parts. We’re super excited about Future Sound – why’s it a special one for you? It has always been a dream of ours to be more than just a gig, I hope that this is clear in a number of ways that we carry ourselves. Having the opportunity to work with the Abram Wilson Foundation, KOKOROKO and the young people of Mossbourne Community Academy and to learn from all of them, has been nothing less than a privilege. We have the full Church team working on our Friday November 9th gig with MCA, from lighting, sound, production – no holds barred. Working in a creative world, and as an entrepreneur, what are the highs and lows for young artists building a career in jazz or other ‘non commercial’ musical genres? For myself, the highs and lows can more or less be encapsulated in a single word: unpredictability. It would be lovely, sometimes, to just know where your next pay check is coming from. However, wouldn’t life be a drain if you could see into the future? You’re a man of many musical projects! Lunch Money, an EP launch coming up soon… what’s the latest? Lunch Money is a band, I play and write music with them all and have done for many years. I will continue to do so for many years, they are my closest friends, one of them is even my brother. It is the only band that I play in. An EP launch is imminent for us yes, we are self-releasing a white label featuring 2 tracks of our own and a remix from Time Cow and Bobby Blackbird of the infamous Jamaican outfit Equiknoxx. Can’t wait! What’s cooking for Church of Sound through into 2019? Church of Sound is in constant flux and I hope for it to remain that way for as long as it lives. We are hopeful that one day in the not too distant future we will be releasing some live recordings from the Church (we record every gig as protocol) and hopefully move into less frequent, and more detailed, collaboration.